So here it is. My 4 week progress photo. My commitment to 12 weeks of @kayla_itsines #bbg program has been to take progress pictures. She recommends it 😉 It’s not visually drastic by all means but I have to tell you some things that may not be noticeable. The first picture on the left was taken the day before i went to the hospital to deliver (34 weeks). 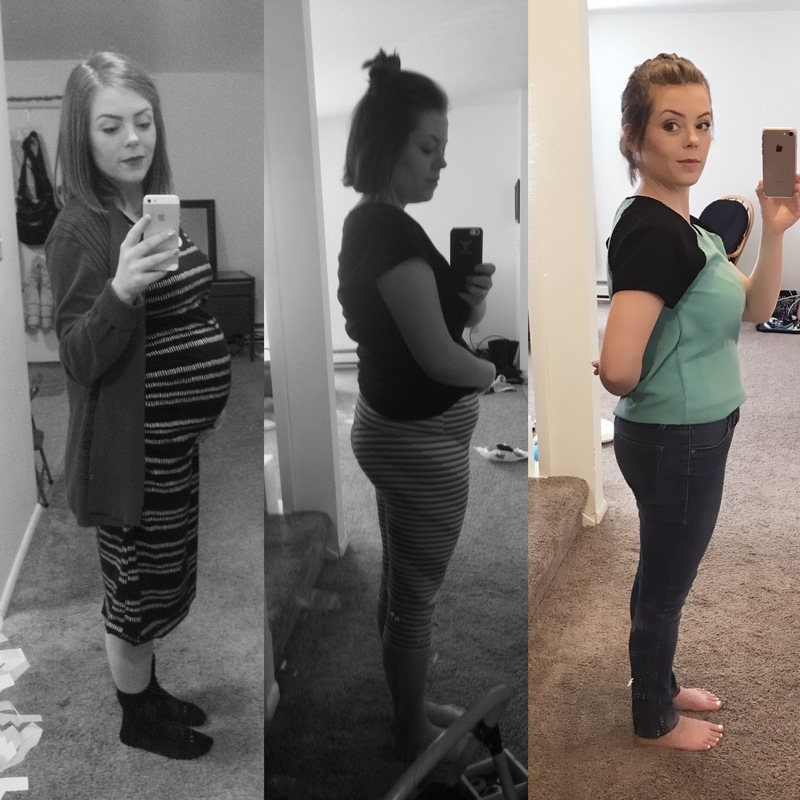 The middle picture is a few weeks postpartum where the only thing that fit was my husbands t-shirts and a few stretchy pants. I was super depressed that nothing fit and I wasn’t about to go out and have a hard time finding new clothes.The right picture is today, after completing the first 4 weeks. I am pre pregnancy weight and am wearing pre pregnancy jeans that used to be snug! But mind you, my pre pregnancy weight wasn’t ideal. I have always fought with a “fluffy” tummy so to say and I still am. But this is progress to me! And I have learned to call that progress because even though the weight on the scale has been plateaued for a few weeks, I’m fitting into more and more of my old clothes every week! I hope you don’t feel like I’m tooting my own horn… I have always been self conscious and still am. I’m trying to become healthier, stronger (not necessarily skinnier) and I want to encourage others to take this same journey. I am also on a journey of self love and acceptance. My inner voices (and sadly my out loud voices) have never been kind to myself. I need to set a better example to my daughter. I love #bbg because of the #bbgcomnunity. It’s a worldwide community of woman supporting woman who are all on the same journey. It’s seriously so motivating to watch and learn from these woman. Especially from Kayla herself, I believe she is completely genuine. I can’t wait to see what the next 8 weeks hold, I’ve honestly never stuck to any workout routine this long. That should say something about how much I love this program. WTG!! Looking good. Forget the scale and go by how your clothes fit. Thank you!! It’s so true, the scale shouldn’t measure progress!